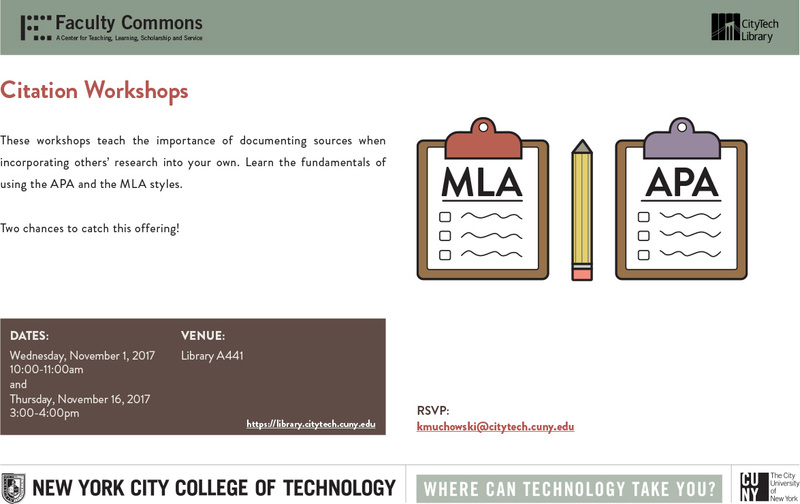 These workshops teach the importance of documenting sources when incorporating others’ research into your own. Learn the fundamentals of using the APA and the MLA styles. Two chances to catch this offering!